This example is meant to illustrate situations where k-means will produce unintuitive and possibly unexpected clusters. 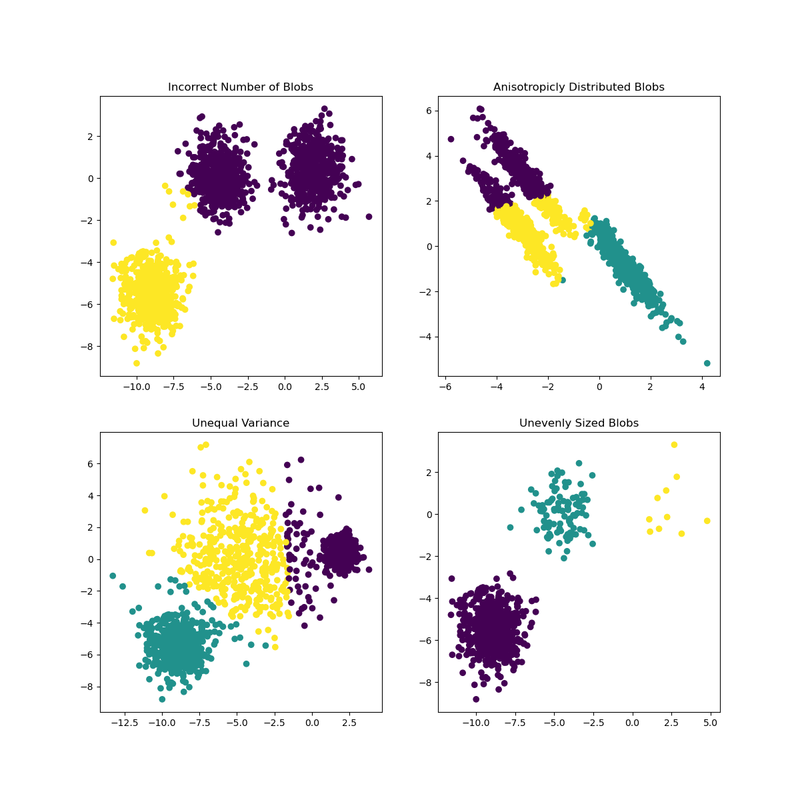 In the first three plots, the input data does not conform to some implicit assumption that k-means makes and undesirable clusters are produced as a result. In the last plot, k-means returns intuitive clusters despite unevenly sized blobs.